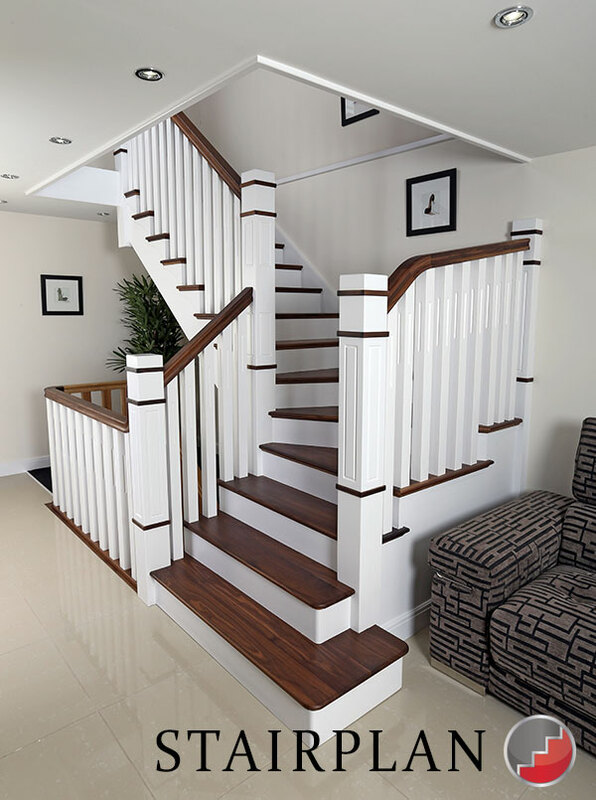 The New England Staircase design is on many wish lists, this Cut String Staircase shown here in White with desirable black walnut stair treads and handrails. The Black Walnut simply ooozes quality with its unmistakable wood grain features. Designed with todays market trends in mind the square box style newel posts and balusters with the sqaure flute detail bring this staircase into the current market place. Above you can see the use of continuous handrail fittings in the Black Walnut, all these fittings are produced by Stairplan bespoke for individual staircases. 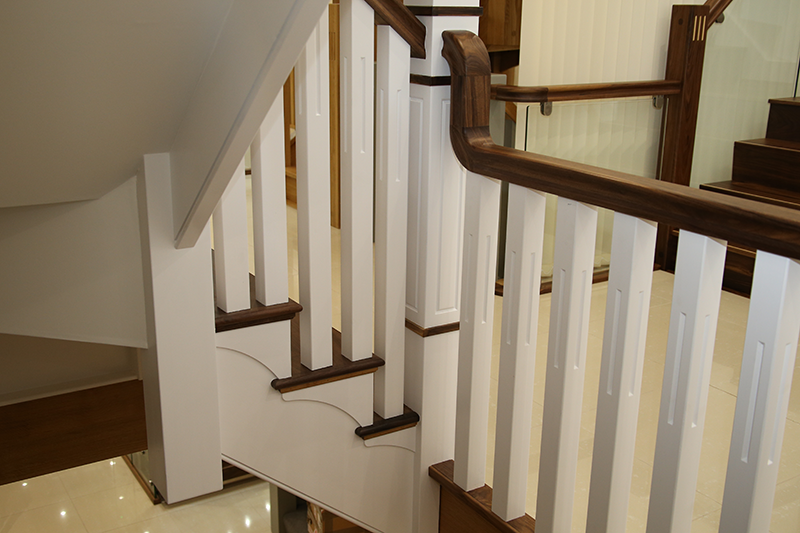 A New England Staircase is available to view at our Showroom in Telford. 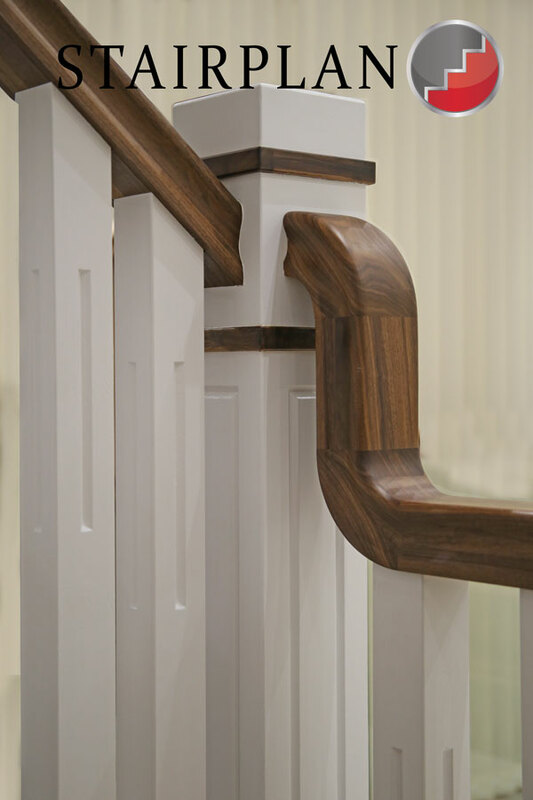 The New England staircase has a simple decorative cut string bracket, traditional return nosing detail with walnut scotia mould. Balusters complete with Flute detail. 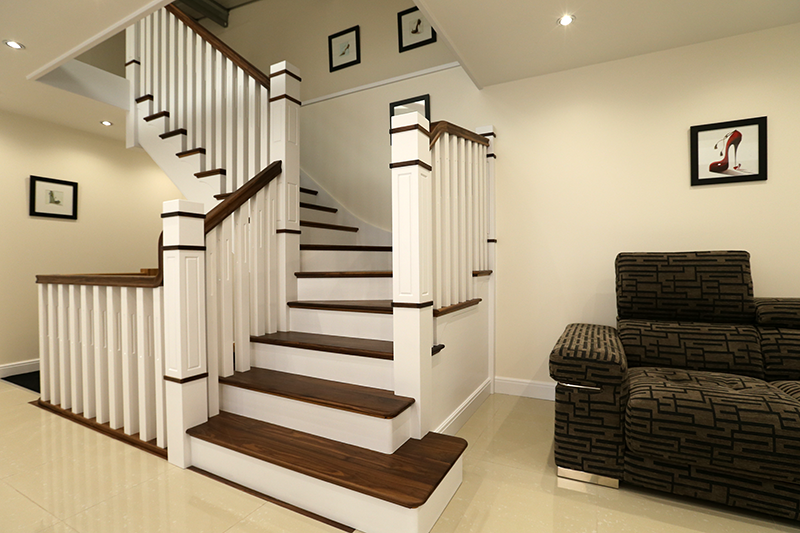 Visit our show room to see the New England staircase in the flesh and talk through your specific requirements. Home | Stairs | Stairparts | Terminology | Workshop |Staircase Plans | Jobs at Stairplan in Telford | Visit the Showroom.